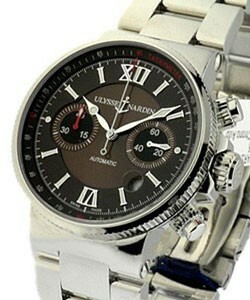 This watch is also known as: 353-66-314 , 353-66 . 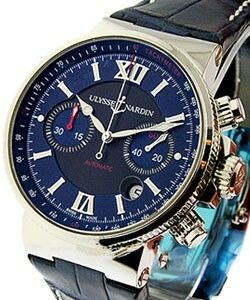 This rugged Ulysse Nardin Maxi Marine Chronograph 353-66/314 is a multifunctional timepiece. 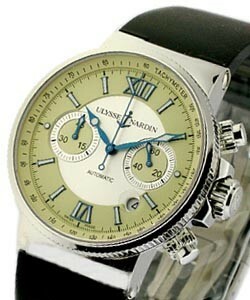 It has a 45-minutes register at the 9 o' clock position, a seconds face on the 3 o' clock and a date indicator just below. 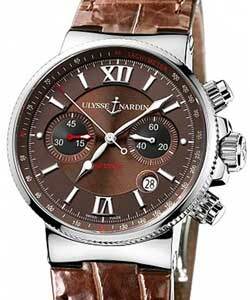 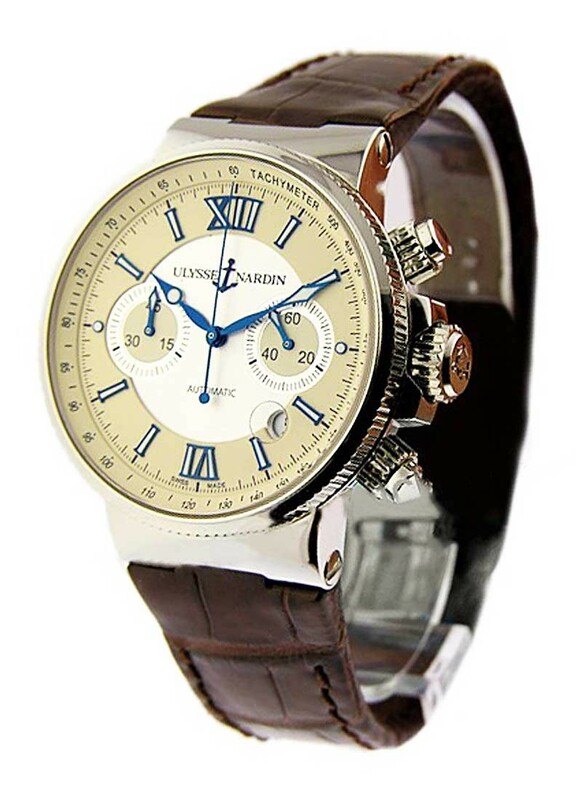 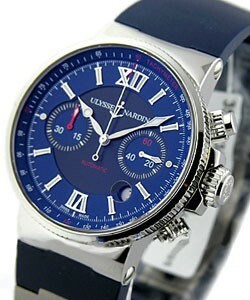 The blue and white Roman markers show its contemporary style, which balance off the classic brown leather strap. 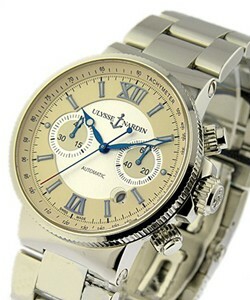 The silver and ivory dial makes this chronograph a unique masterpiece. 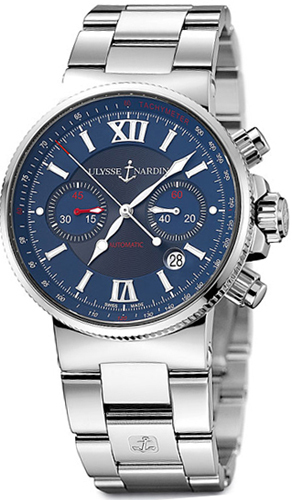 Especially made for rough men, Ulysse Nardin Maxi Marine Chronograph 353-66/314, is water-resistant up to 200 meters and its sapphire crystal protects its face from scratches, keeping it handsome under the test of time.